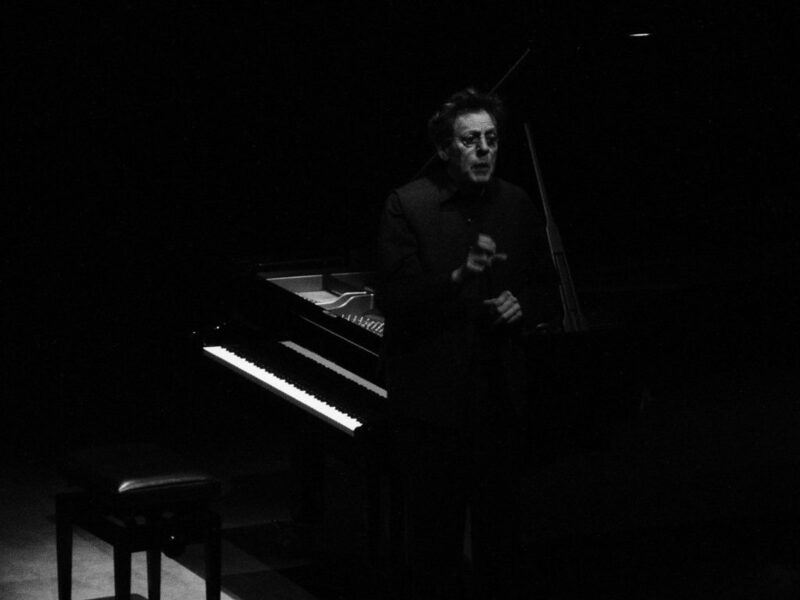 Philip Glass is celebrating his 80th birthday. Composer Philip Glass is celebrating his 80th birthday today. If you do not know his music, he has a very different style of composing. His music sounds very repetitive and minimalistic. If you are not used to it, there is a chance you will find it very boring. But if you listen closely, you will hear small differences and learn to appreciate it. At least that is what I hope– a lot of people do not like his music. He has written the music for movies like Koyaanisqatsi, The Truman Show, and The Hours. Glass has a good relationship with the orchestra in my local town. A good reason for some nice concerts on my doorstep, I have attended a concert with only him on piano. Koyaanisqatsi with his own ensemble and lastly a meet and greet with him and his piano. Film music is a small part of Glass his repertoire. He has written operas, symphonies, and concertos. For his birthday, Glass is treating us with the premiere of his Symphony No.11 in New York.